The Italian composer G. B. Vitali was renowned in his time particularly for his instrumental compositions. 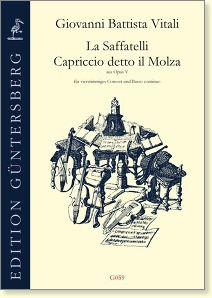 Opus 5, which was printed in Bologna in 1669, belongs to his earlier works. The sonatas are written for instruments of the violin family, they can however be played just as well by viols or by wind instruments (middle parts in alto and (octavated) violin clef). 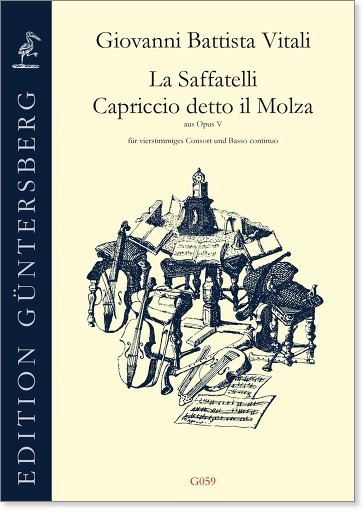 The score also contains the continuo part including figures so that the quartet of viols can be accompanied ad libitum by an chordal instrument.